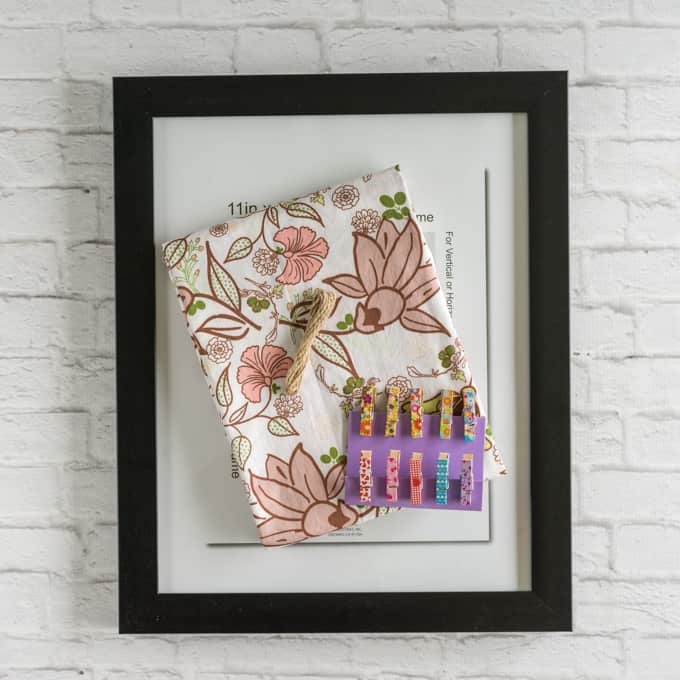 Cute clothespins and something to hang! Yep, that’s it! 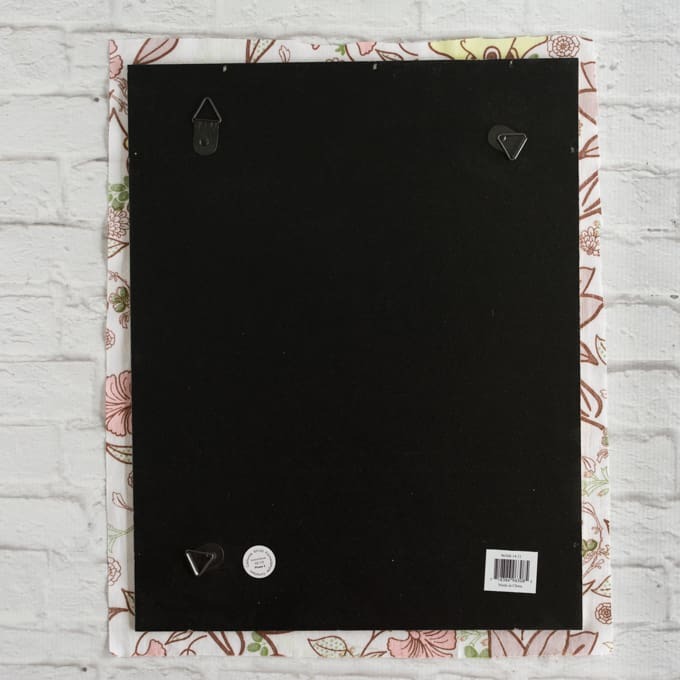 In just a few minutes you’ll be rocking your own memo board. 1. Open up the back of your picture frame. 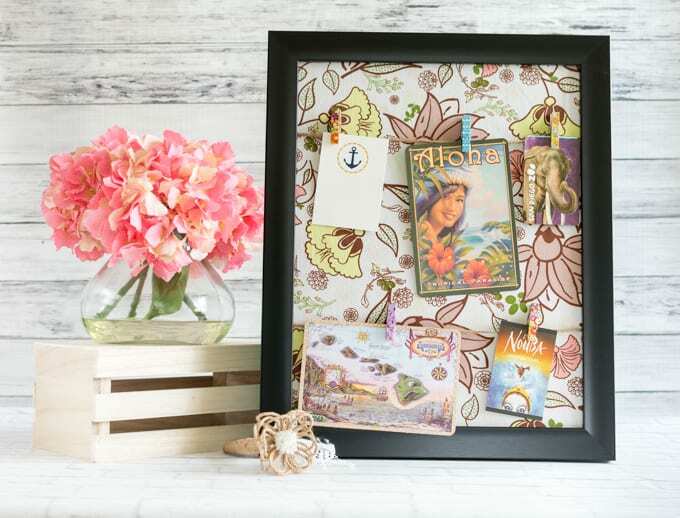 If it’s a fancy frame, it may have those little swivel pieces. 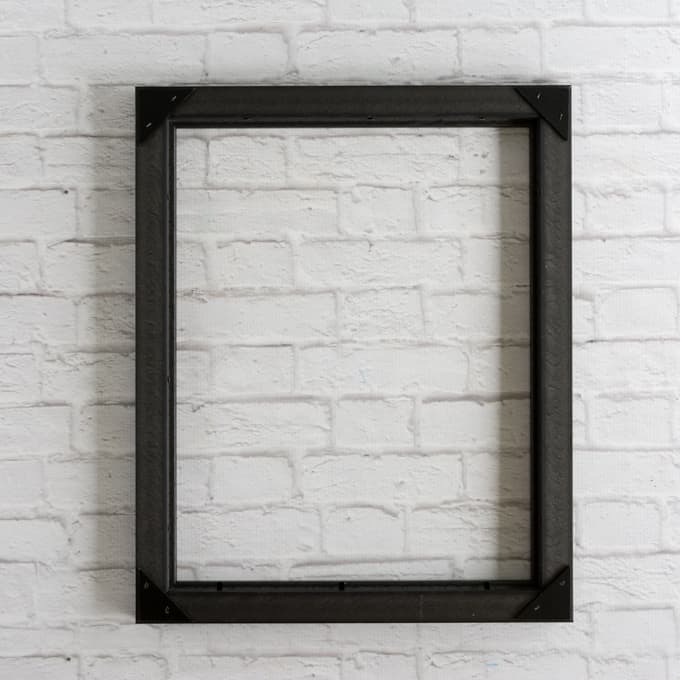 If it’s a cheaper frame, like mine, bend up the metal tabs with pliers or a screwdriver until you can remove the frame’s back. 2. 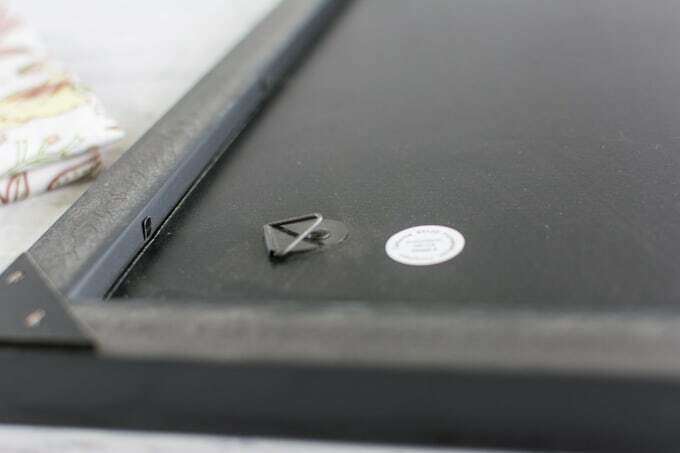 Once you remove the frame back, carefully remove and dispose of the glass. 3. 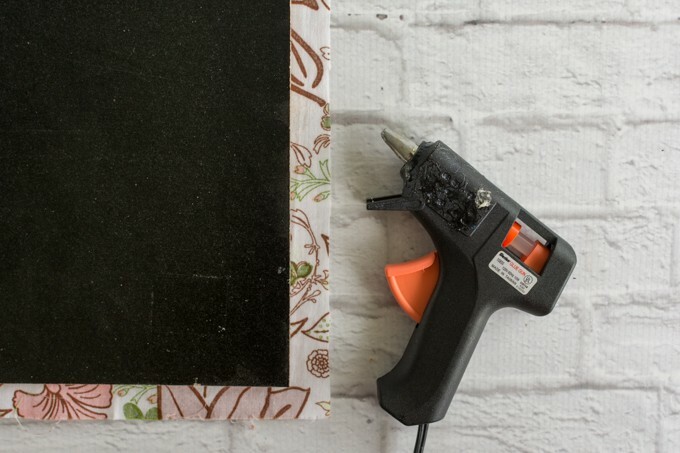 Cut fabric or decorative paper to fit your frame’s back. It should be at least 1/2″ larger than the frame back on all sides (so a total of 1″ longer each way. For example, an 8×10 back would need a piece of fabric that’s 9×11). 4. 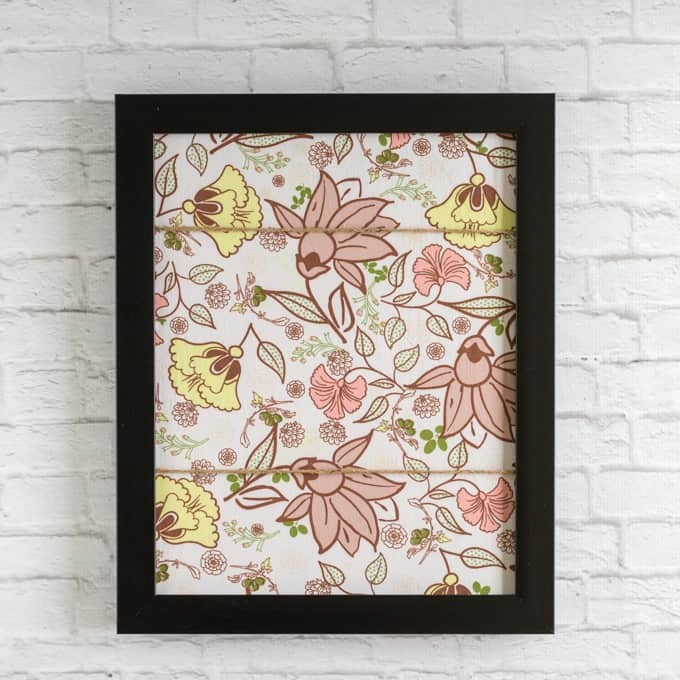 Fold fabric snuggly over the frame, taking extra care to tuck in the corners, and carefully hot glue it in place. 5. Cut two lengths of twine that are each able to comfortably fit around your frame’s back with extra to tie. 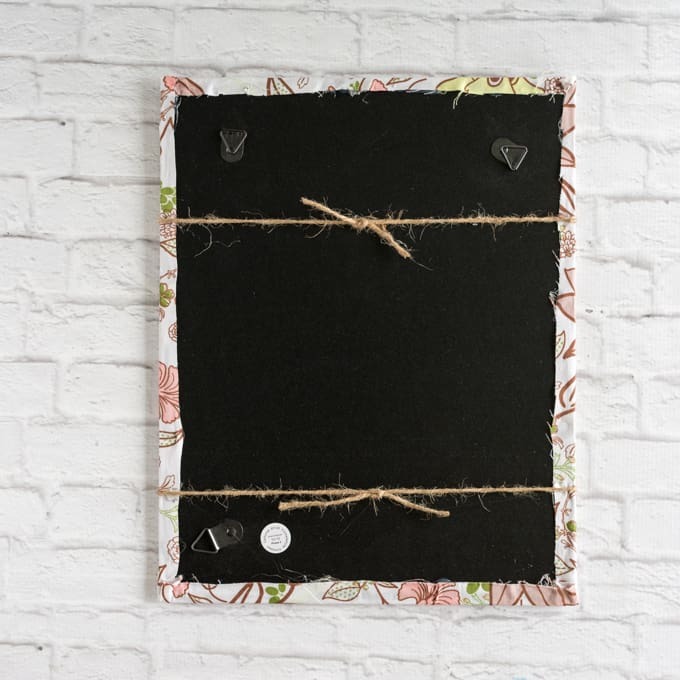 Tie them around your frame wherever you’d like to be able to hang your items and then glue the cords in place with a generous dollop of hot glue on each end. Be sure to place this glue near the edge, but far enough away from the edge that it won’t interfere with reassembling the frame. 6. Return the back to the glassless frame. 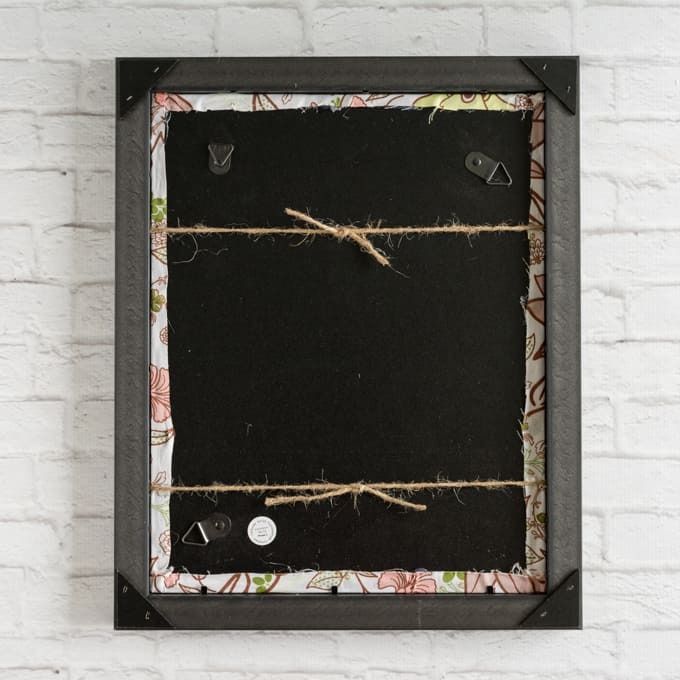 You may need to gently pull the frame’s edges apart since the twine and fabric add a bit of extra bulk. 7. Bend the tabs back down in place to secure the back. 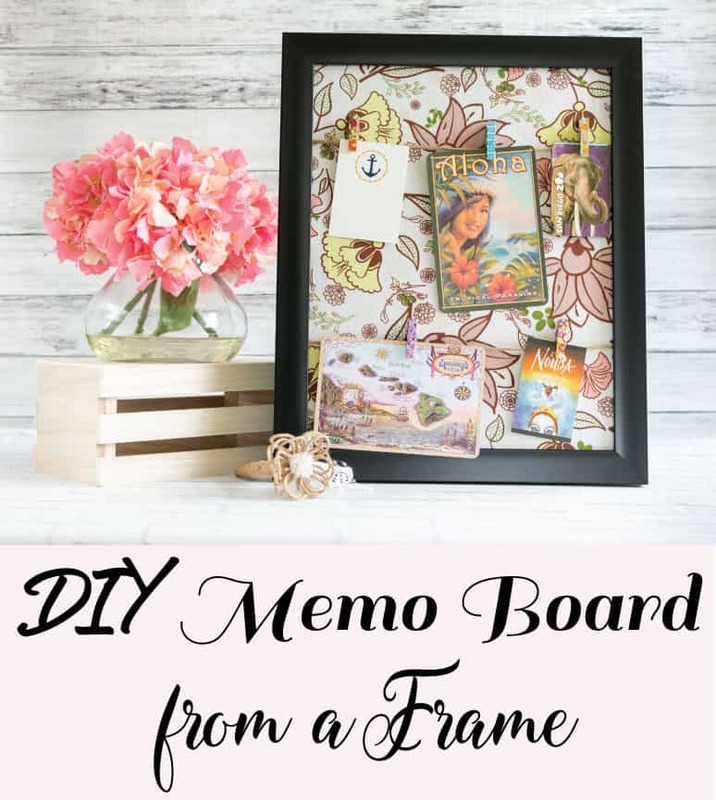 Funny story – about a week after making this memo board, we were flipping through our post card album and I was distressed to not find the purple-ish map card in its place! It took me a minute to remember it was still on display on the memo board. Oops! Does anyone else collect post cards? What are your souvenirs of choice when you visit somewhere new? I love this!! And definitely something even I could make!!! Not sure why I never made one of these haha, it’s so easy and cheap! Yours came out cute! !